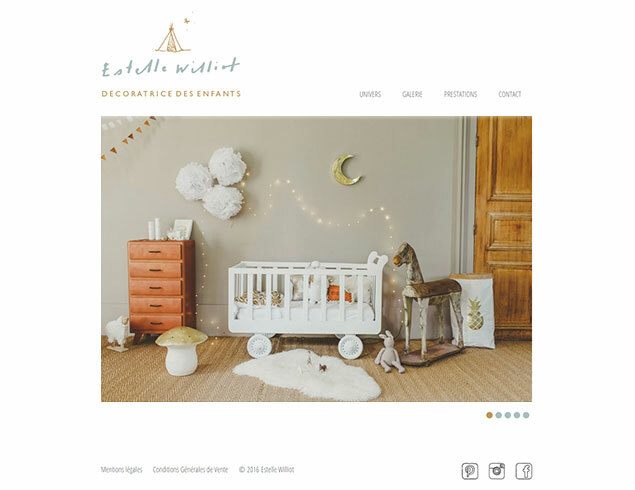 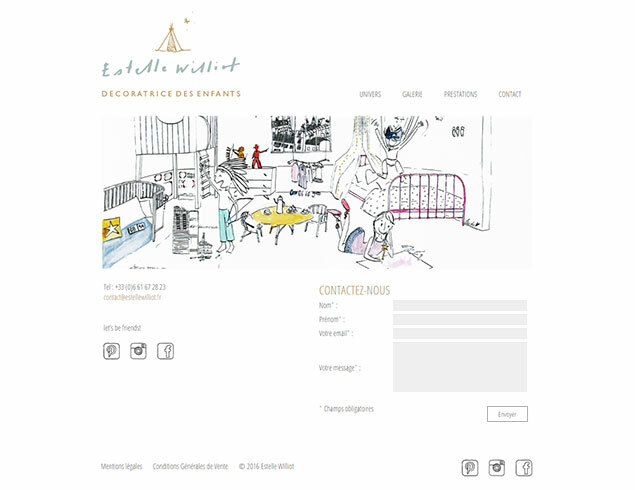 A first site for children's interior designer Estelle Williot. 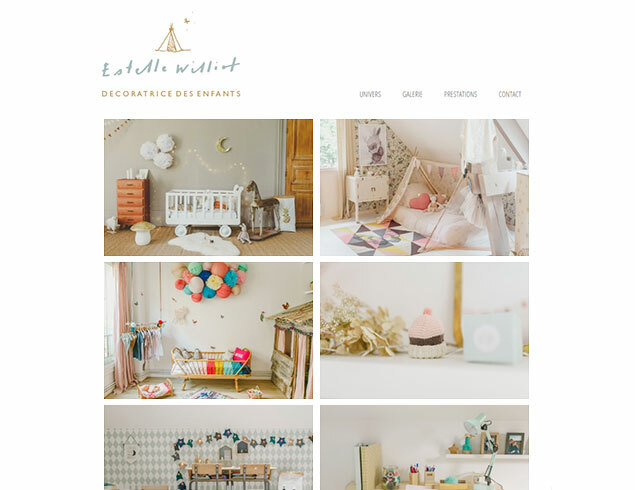 After finding her calling and with several projects under her belt, it was time to formalize her activity. 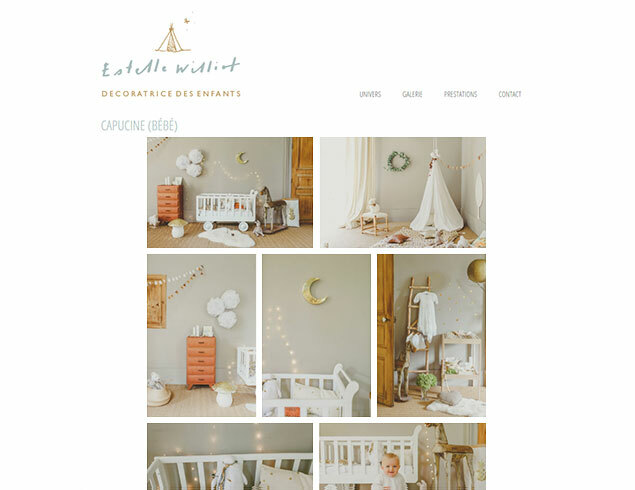 The site set out to not only show her work but to capture the spirit that inspires her.